Comments: Snowden was the over 2000-acre estate owned by Peter Jefferson (1708-1757), a man of Welsh descent who named this estate with a bluff after a beautiful Welsh mountain of the same name. When Peter died, he left property on the Rivanna River (north fork of the James River) and the Snowden estate, allowing his eldest son, Thomas, to choose between the two properties. 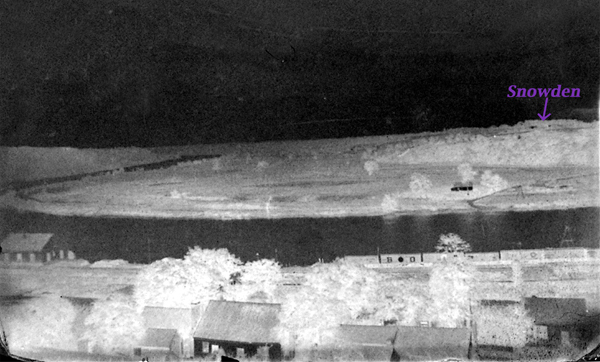 Thomas chose the Rivanna River land, leaving the Snowden estate to his younger brother, Randolph. The location of the original Snowden home, occupied by Randolph Jefferson and his family, is unknown, and it burned to the ground within months of Randolph Jefferson's death in 1815. In 1849, John L. Harris was taxed on 1277 1/2 acres (Snowden, 22 North), a portion of the original Snowden estate. In c. 1848-1850, Harris built his Snowden home high on the bluff on the estate, and this home still stands today and is noted for its 15-foot ceilings (see above photo). When Harris died intestate on February 9, 1856, in Madison Parish, Louisiana, the ownership of Snowden was once again contested. Then John Schuyler Moon, a Scottsville attorney and cousin of John L. Harris, purchased Snowden c. 1870. 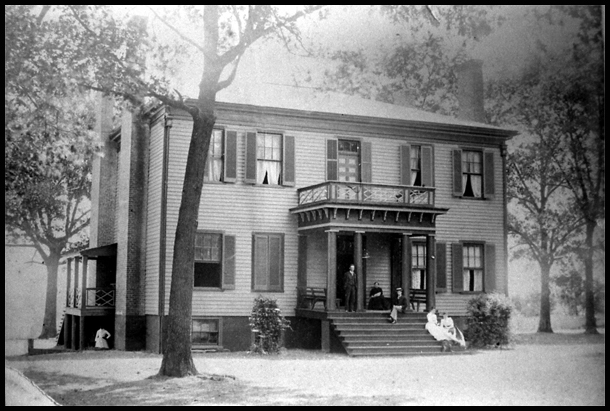 By 1901, part of the Snowden farm and the house was owned by Mrs. D.W. Hancock, a daughter of John S. Moon. Located on the south side of Horseshoe Bend, the Snowden home sits on a high bluff overlooking Scottsville and the James River as shown in this 1907 Burgess photo below. All the land between the bluff and the James River originally belonged to Randolph Jefferson in the 1757-1815 time period. 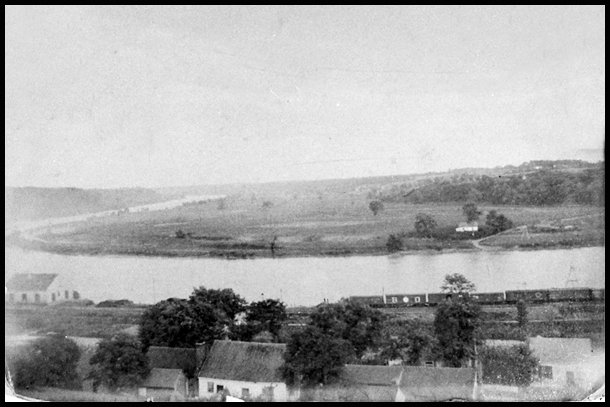 Note that no bridge exists across the James River in below photo, as river crossings in 1907 still relied on the ferry as in Randolph Jefferson's time.